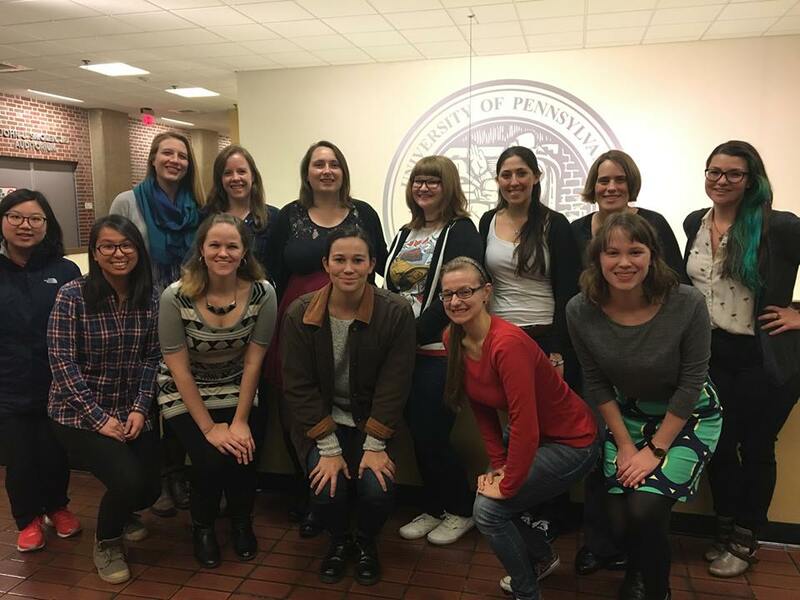 Welcome to Penn Women in Chemistry’s website. We’re a group of graduate women in the Chemistry department who organize events and activities to promote the growth and well-being of women in the chemical sciences. Read more about us and how to get involved on our About page. Check out our Events page to see what we have in the works and check out our calendar. Subscribe to our newsletter if you’d like to hear more from us right in your inbox! Our header image and logo are the work of Jordie Compton.